PhD studies require higher level of academic research, more efforts and a lot of particular skills and competences. Whereas a Master thesis is usually focused on a problem which has been analyzed in the past and by many other authors, a PhD dissertation needs to be completely authentic, examining a completely new issue, or at least applying a new approach to a well-known problem. For that reason, an academic committee, which approves applications for entering a graduate school, has very high expectations. Writing a graduate admission essay requires plenty of time for planning, preparation and preliminary research. The graduate admission essay should also be well-structured and coherent. The contents of this type of essay may vary; some universities require an applicant to focus particularly on their potential field of research or topic to be analyzed in the dissertation, while other universities ask for more information about the applicant’s achievements and interests. In all cases, you must know that the main goal of the admissions essay is to prove you are the right applicant for getting into a PhD program. In order to present yourself as a successful applicant, you have to think well in advance about the possible topic of research as well as your potential supervisor/s. This depends on your career plans. Some students change their mind during the study because they see that their undergraduate program is not an appropriate one for them. Then they start thinking about another type of study or academic field. The best option is to continue your own research from the undergraduate program. This will provide you with a lot of information, sources and academic achievements. If you, on the other hand, want to start anew, then you will lose all academic achievements earned so far; for example, all the articles/essays you have written will not be counted as regards of the admission committee. Now, once you have found your proper field of research, you should start examining the literature available. Select some important books in the field (not dictionaries or textbooks) in order to have a general view on the subject. Then you can start thinking about a possible topic for research. Afterwards, you can search in more detail, particularly for journal articles. This will provide you with a lot of new information which you will be able to use for writing your proposal. Describe your personal interests shortly. When and where were you born? When have you graduated from university? What are your hobbies? However, do not go too much into detail here. You should relate it to your interests exposed in the introduction of your admission paper. You may consider the following achievements: your published articles, experimental research you have done in the past, participation in conferences, translation works, and so forth. You may also mention your extracurricular achievements such as literature awards, social activities, but don’t put too much emphasis on it. What topic will you examine? Here, you should write the full title of your PhD dissertation. Which working languages will you use? What kind of working thesis will you argue for? How much time will you need to finish the dissertation? At this point you need to be very precise, employ appropriate terminology, and mention at least a few names of well-known theorists in the field besides defining their theories. However, do not write a novel; one page should be enough. What are you going to do as a PhD student? How about your future academic career? How can you contribute to the university/institute you are applying to? Particularly, you can describe grants and projects you were involved in. Another good point could be writing a book on your topic. Attach a list of references with the most important books and articles you will use for writing the dissertation. Always keep in mind that you will be submitting a few other papers besides this admissions paper along with your letters of recommendation, academic transcript, etc. There should not be any contradictions or incoherence. Academic achievements should be always documented and proved. Attach copies of your published articles. A graduate admission essay should include: 1. Short introduction; 2. Your achievements; 3. Your proposal; 4. Your career plans; and 5. A short list of references. Once you get some feedback, revise the admission essay according to their recommendations. Grammar and spelling of the essay should be perfect. As you see, you need to consider many details while writing a graduate admission essay. This is a long-term process going on for several months, or even a year. Preparation is the key to making a perfect application. 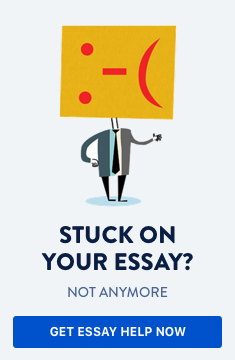 Do you need help with writing a graduate admission essay?